Most in EdTech are likely familiar with the SMART Board line of interactive software, whiteboards, and interactive displays – but did you know their parent company conducts EdTech research, too? The study continues by highlighting differences in tactics used by high- and low-outcomes schools, namely differences in technologies used and variation in how capabilities are prioritized. For instance, the report notes that high-outcomes institutions favored the use of more student assessment and collaboration software than their low-outcomes counterparts. The authors indicate this may result in a tendency for high-achieving schools to use more student-focused pedagogies like game-based learning and multimedia content creation tools – engaging, hands-on activities that help to develop 21st century skills among students. The report concludes with a set of ‘next steps’ for readers – strategies for optimizing EdTech practices in order to amplify successful outcomes. Suggested tactics include identifying then improving upon high-impact capabilities, placing increased emphasis on strategic and collaborative planning stages, and making use of technologies that help support student-centered pedagogies – strategies that have been shown to not only transform learning outcomes, but lead to significant support, administrative, and teacher attrition/turnover cost savings as well. Reflecting on the successes and challenges of your latest technology initiative? Or perhaps you’re preparing for the implementation of a new EdTech program in your school or district? 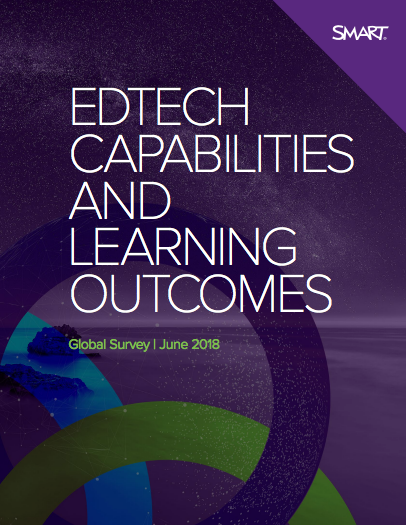 No matter your current position, check out SMART Technologies’ ‘EdTech Capabilities and Learning Outcomes’ report to discover even more evidence-based strategies for maximizing the success of your EdTech initiative! Click here to read SMART Technologies’ full report. 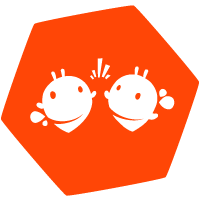 Want to learn more about the future of EdTech? Check out the links below!